Our 250 foot Communication Tower is located at the corner of St. Rt. 511 & CR 2256, Ashland, OH (40-44-07.2 N, 082-19-09.6 W ) and covers all of Ashland County and a lot of the surrounding counties because of the high elevation and actual tower height. We are leasing Tower Space as well as leasing space on our own Repeater. We have a narrow-banded DMR RD982 repeater in place programmed with our own FCC Licensed Frequencies to handle all of your 2-way communication needs. So whether you have your own Repeater and Antenna and you are just looking for a location, or you would like to use our Repeater with your Radios, we can help you be heard! Call us today and let's see what we can do for you! Website Design: We offer Website Design Services for Business or personal use. In today’s world, you have to keep up to date on the Web and we can help you. We offer quality website designs, custom graphics, ad-banners, and quality one-on-one service! 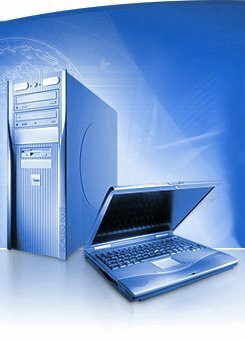 Domain Hosting: If you already have designed your own website and are looking for a company who provides hosting service, we can help. 2-Way Mobile Communication Services: Whether on-site or entirely mobile, efficiently coordinate and communicate with your on-the-go workforce using 2-way communications. Two-way radios reliably connect command centers and first responders, employees in the office or off-site, and consumers wherever they roam. And now Mechcom Dot Net can help you connect!